The Holocaust Memorial Museum is a memorial to the millions who died during the Nazi regime in Germany during World War II. The museum, located just off of the National Mall in Washington, DC, offers a very moving and educational experience and reminds visitors of this horrific time in our world's history. The permanent exhibition presents a narrative history of the Holocaust, the annihilation of 6 million European Jews By Nazi Germany from 1933 – 1945. The exhibit uses more than 900 artifacts, 70 video monitors, and four theaters showing film footage and eyewitness testimonies of Nazi concentration camp survivors. Please note: Images of death and destruction are graphic and this exhibit is not recommended for children under 11 years old. Remember the Children: Daniel’s Story is an exhibit that tells the story of the Holocaust told through the eyes of a young boy. This program is designed for children 8 years old and up. 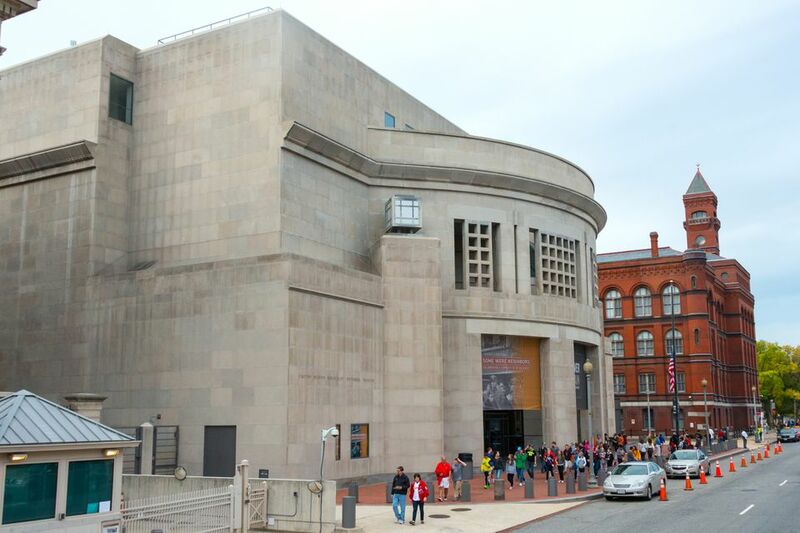 No passes are necessary for entering the Holocaust Memorial Museum building, special exhibitions, the interactive Wexner Learning Center, the library, Archives or Museum Café. Check the official website for up-to-date information on special exhibits, family programs and special events that are scheduled throughout the year. Free Timed Passes are required for the permanent exhibit from March through August. Timed passes are distributed on the same day on a first-come-first-served basis. You may order them in advance through Etix.com or by calling (800) 400-9373. 100 Raoul Wallenberg Place, SW, Washington, DC (202) 488-0400. The Museum is located on the National Mall, just south of Independence Avenue, SW, between 14th Street and Raoul Wallenberg Place (15th Street). The nearest Metro station is Smithsonian. The museum is open daily 10 a.m. – 5:30 p.m. with extended hours to 7:50 p.m. on Tuesdays and Thursdays, April through mid-June. Closed on Yom Kippur and December 25. Arrive at least 15 minutes before your ticket time to get through the security line. Allow at least 90 minutes to explore the Permanent Exhibition. To avoid crowds, visit September through February, weekdays are less busy than weekends. Remember that the museum is a memorial. Be respectful of other visitors. Photography is permitted, but tripods, flash, and selfie sticks are not allowed. If you are visiting with children, stop at the information desk and pick up a Family Guide.